With this xMatters integration, Dynatrace actively pushes problem alerts, along with all related metadata, into your xMatters instance. You can acknowledge xMatters alerts and comment on Dynatrace-detected problems via your preferred device. xMatters automatically records your responses in Dynatrace. You&apos;ll need an API key for proper integration of Dynatrace and xMatters. If you don&apos;t already have the API key (token), you can generate it in Dynatrace. 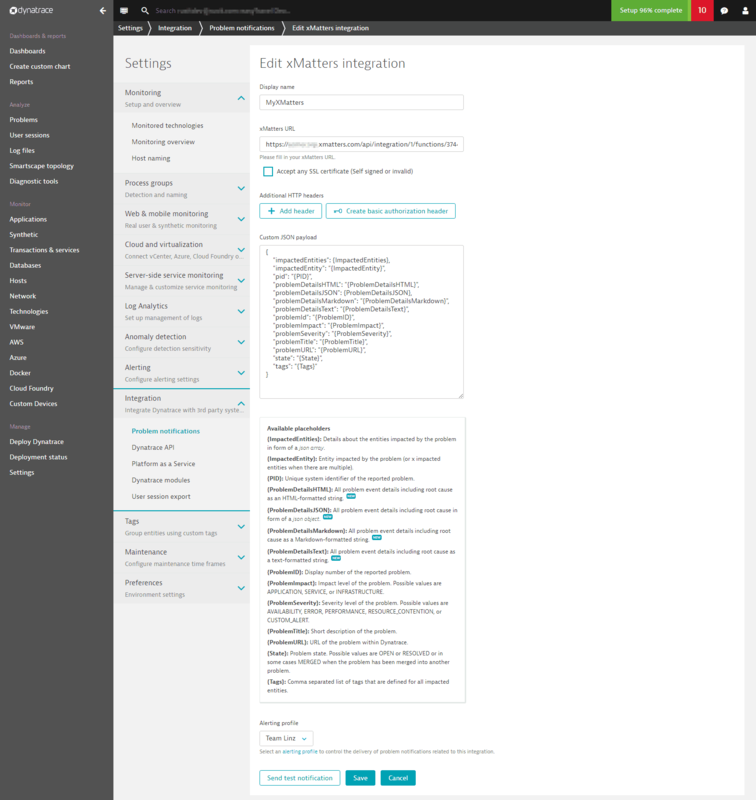 Navigate to Dynatrace > Settings > Integration > Dynatrace API. Use this token for secure communication between Dynatrace and xMatters. 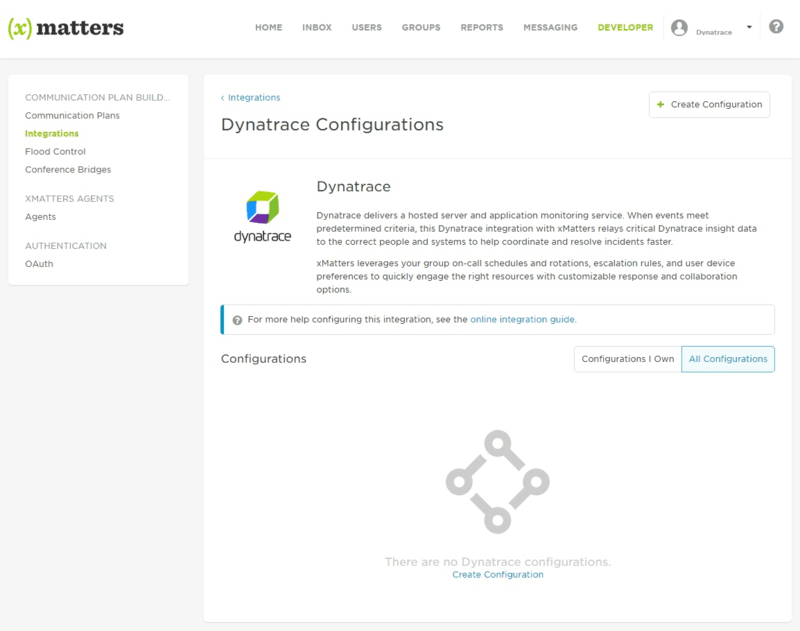 Within xMatters, select the Dynatrace integration on the Integrations page. 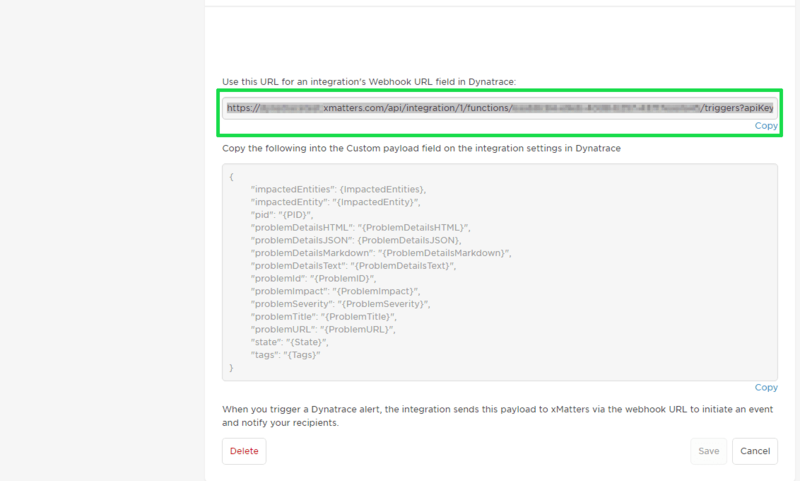 Enter your Dynatrace API token and Dynatrace Endpoint URL (Dynatrace environment URL). Once you click Save, you’ll see the xMatters webhook URL and default payload mapping. Copy the provided xMatters webhook URL. 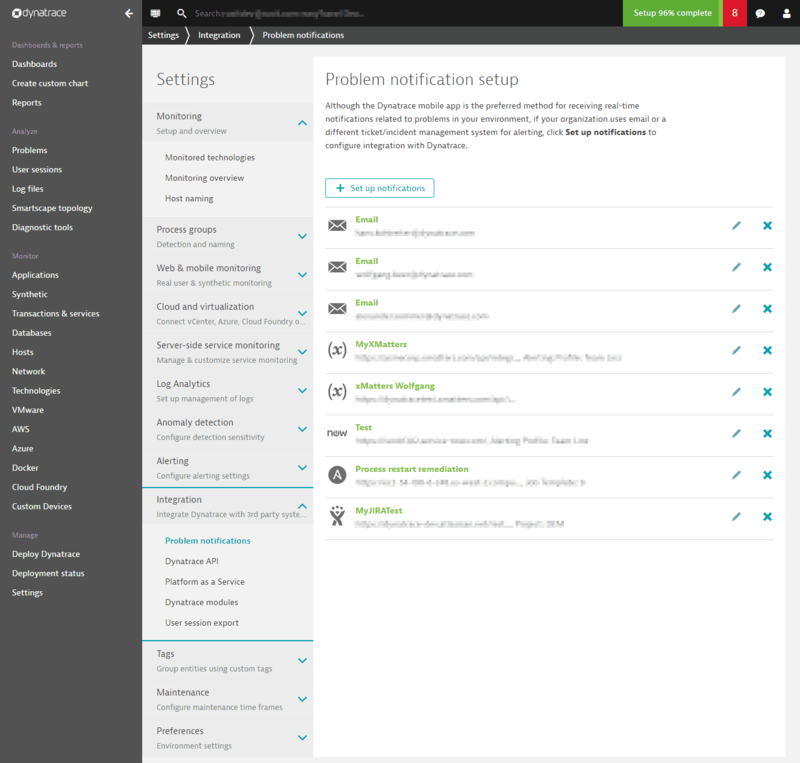 Within Dynatrace, navigate to Settings > Integration > Problem notifications, click Set up notifications, and select xMatters. Enter the Display name and paste the xMatters webhook URL into the xMatters URL field. 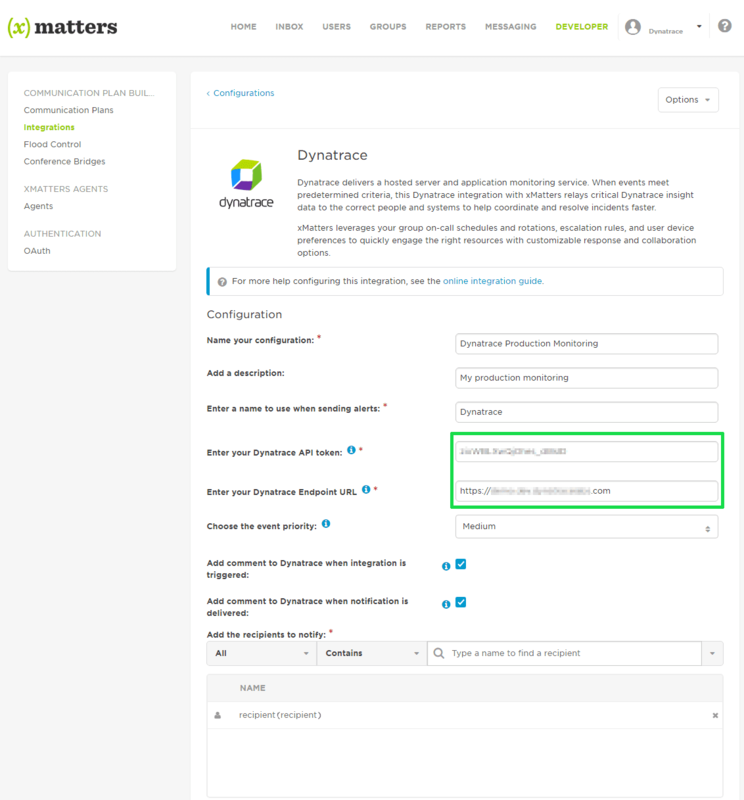 Once you’ve finished integration with Dynatrace, you’ll see your newly created xMatters integration in your list of integrations.